European vacations are a fantastic tour of stunning architecture, historically significant locations, and absolutely fantastic food. As Anthony Bourdain so wisely stated in Kitchen Confidential, “As soon as you pick up a chef’s knife and approach food, you’re already in debt to the French.” But along with fabulous French cooking, come traditional Spanish tapas, incredible German sausage, and the most incredible pasta in the world, straight from Italy. If you want to bring some of your European holiday home with you, consider purchasing some of these culinary travels kitchen accessories that will transform your humble home countertop into a fabulous tour of your favorite European countries! If you return home to the states dreaming of the incredible sausage you sampled in Germany and want to try making them at home, consider purchasing this heavy duty “turboforce” electric meat grinder and sausage stuffer! You can create your own proprietary sausage blends and stuff them, all from the comfort of your own home. This little baby is powerful. According to the manufacturer, it can grind between 320 and 360 pounds of meat per hour, depending on the size of the grinding plate used. This is great if you feel inclined to grind a borderline disturbing amount of meat per hour. Take the taste of Germany home with you and make some sausage at home with this culinary travels must-have! If Spain is the country you long for after returning home to the states, then invest in this paella pan and learn to make this temperamental, saffron-infused rice dish. Load up on your chorizo, shellfish, calamari, and octopus and create a beautiful, family style rice dish that is truly to die for. 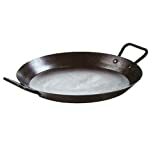 This pan can take high heat which is great for browning/searing. It heats quickly and retains heat for even cooking. Plus, it can be used on gas, electric, induction stovetops, outdoor grills, or even open fire! So invite some friends over, whip up some sangria, and make a batch of incredible and decadent paella to share. French desserts are basically an art form unto themselves. They are mimicked and admired the world over. Just spend a few minutes in France you too will be enchanted by the macaroons, crepes, cookies, and cakes. 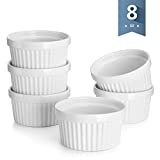 Whether you are whipping up some delicate soufflés, some fired-off crème brulee, jams, or any number of amazing French treats, these 8 mini ramekins are an elegant and practical choice for your home kitchen. These culinary travels items for desert lovers are stackable and easy to clean. The porcelain is safe for dishwashing, microwaving, baking, and freezing. They even come with a 30-day no-chip warranty. So go ahead and channel your inner pastry chef and get to baking! Making fresh pasta is deceptively simple. All it takes is some flour, salt, eggs, water, and oil and within minutes you can be kneading some homemade pasta dough. Trust us, nothing will impress your friends more than making your own pasta from scratch. So delight your guests and your palette by mixing up some dough and running it through this little counter-top machine. 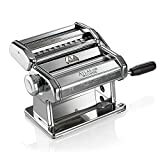 It comes with the attachments for making traditional lasagna, fettuccine, and tagliolini, and can even be upgraded to include 12 pasta-cutting accessories. It was even called the Ferrari of the pasta machine world by Cook’s Illustrated. So enjoy some fresh and refreshing pasta, straight from your own kitchen! If you have traveled at all through Eastern Europe, you understand the soul-warming comfort of a Babushka-made pierogi. Pierogies are made of simple, pantry ingredients, but are incredibly laborious to make at home. 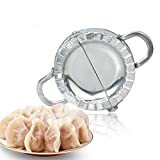 Instead of pinching each individual dumpling by hand, buy this nifty little dumpling maker that folds and presses each individual pierogi for you! You will save yourself some time and some hand cramps with this durable, easy-to-use little tool. This culinary travels item is versatile too! It can be used to make pierogies, ravioli, empanadas, or individual little fruit pies. The possibilities are numerous. This pie dish may have been manufactured in France, but it is a great dish to use for the savory pies made famous by the United Kingdom. So forgo the fish and chips and go for something you can bake right in your oven! The burgundy clay offers an even-heat diffusion and heat-retention, and the hard glaze is durable and scratch resistant. The next time you make a Mincemeat or Steak and Stilton Pie so delicious that your friends and family are literally scraping the bottom of your pie dish, you won’t have to worry about durability! Bring a taste of British pubs home with you with this beautiful dish. It is available in seven rich and beautiful colors. What would a trip to Europe be without some strong, bold coffee at breakfast? Or after dinner? Or any really time you feel like it? Coffee has a rich and storied history all across Europe. It is notable to Americans for being much stronger than what our drip-makers produce. If you want to make something bold and bright at home, then look no further than this stovetop espresso maker. This is a trusted manufacturer that has been making classic, simple to use coffee makers since the 1950s. The Amazon purchase page is rife with coffee-frantic reviewers offering tips and tricks for their favorite at-home drinks. So add this espresso maker to your morning routine and feel like a European all the time. Your European culinary travels will feel new again. So whether you are craving the Swiss Alps, the Amalfi coast, French vineyards, or Spanish bullfights, bring some of your vacation home with you by becoming the best new European chef in town. There is something for everyone and every culture! If you liked this post, be sure to check out our culinary travels recommendations for Asia.